Hello everyone!! 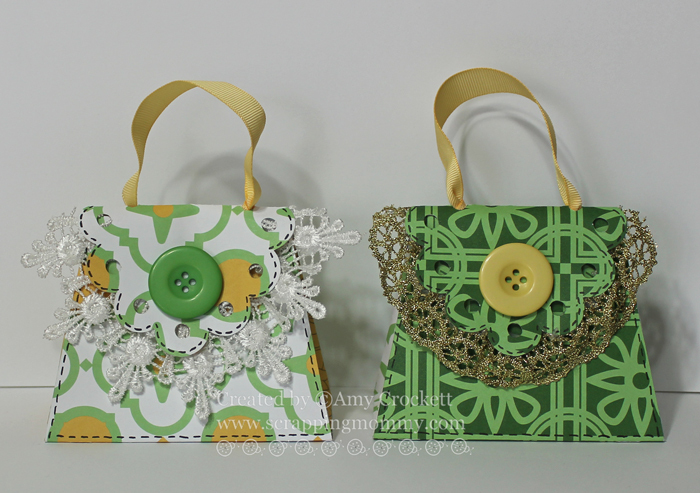 Today I get to share some more fun projects on Jinger Adams blog with some of her new Collection. 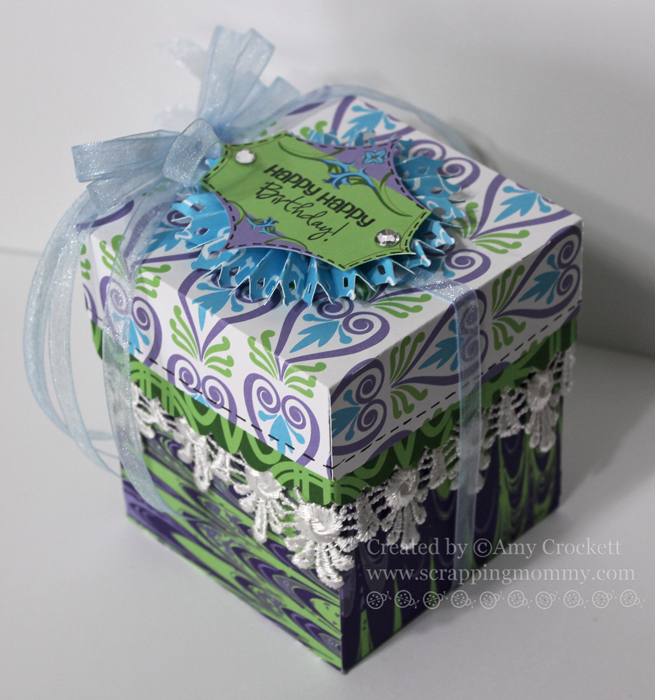 I created these 3D gifts with the wonderful Bella Vita line and my Cricut machine......first up is this birthday gift box. 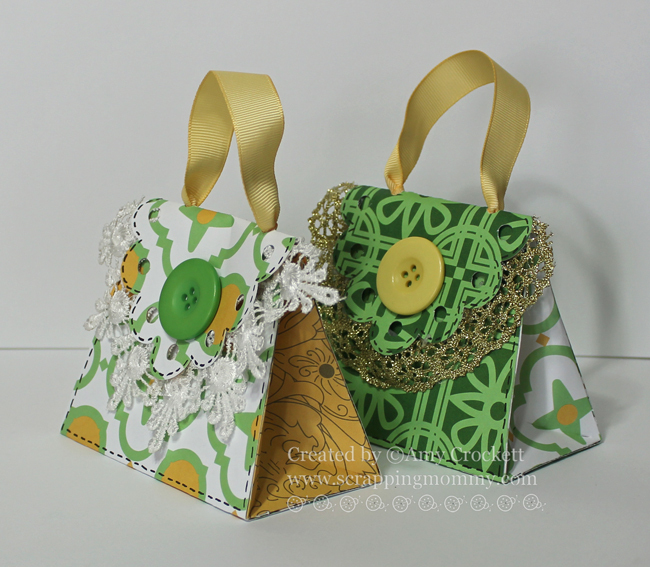 I added some of the wonderful lace trim from this collection to the edge of the lid. 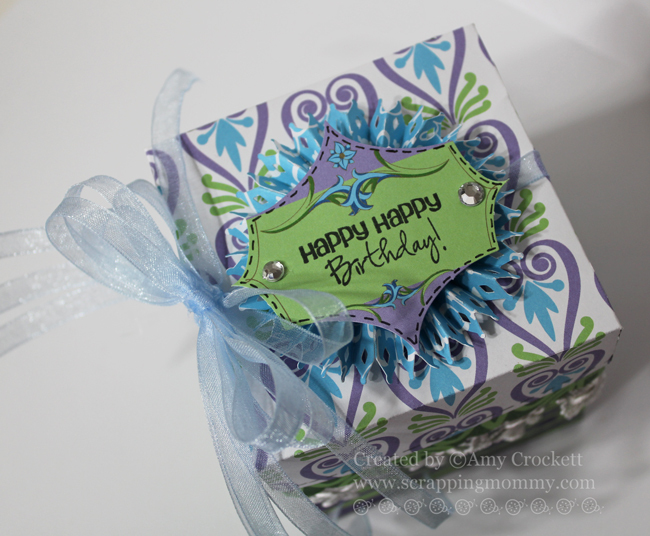 I also cut a rosette with my Cricut and put it under a label that comes in this fabulous pack of papers. I stamped Happy Birthday from the Wow! So Many Candles stamp set from My Creative Time and added some rhinestone accents and tied it all up with a pretty sheer ribbon. I used the Cricut for these as well. I used some of the lace trim from this collection under the flaps and then added some ribbon for the handles.....here is a tip for when you are adding a handle to a project and you want to give it a little more stability, put some clear tape where you are going to punch the holes and it will make it more secure so that the handles don't pull through as easily. I finished it off with a little pen stitching and a button on the flap. Amy ~ Well I LOVE that gift box!! Oh whoever gets this is TOTALLY going to LOVE the box and all the details even before they open it!!! Those little purse way too CUTE!!! LOVE the details on them too! Just the most BEAUTIFUL ideas!! !